Putting a spin on it with Smith’s! 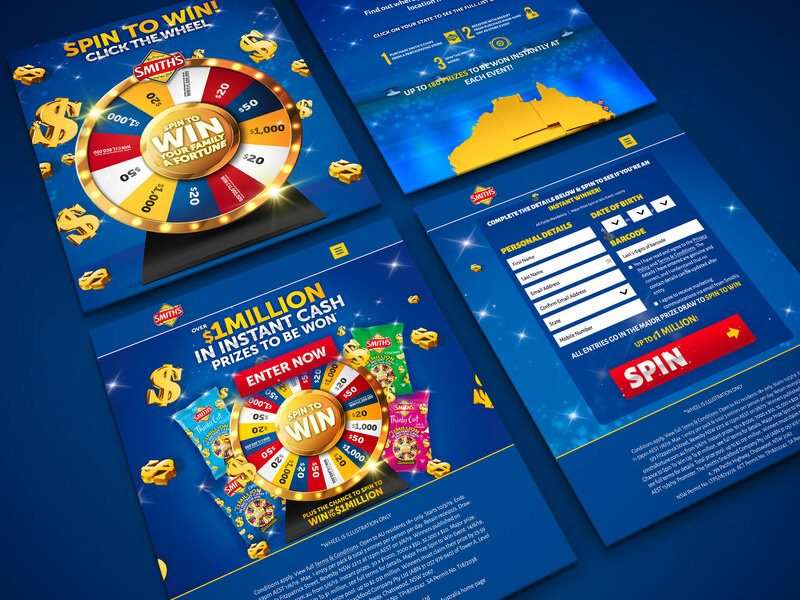 We’ve created the website for the Smith’s Spin to Win competition, complete with a custom spinning wheel that allows entrants to spin and instantly receive notification of their prize. Winning entrants receive an automatically sent email with follow up instructions to validate their prize and submit further details for payment of the cash prizes. The promotion entry site is powered by our populus promotion engine and includes entry validation on barcodes, custom spinning wheel and instant prize notification.